Human core body temperature typically remains around 36.5°C to 37°C, with small fluctuations across the day. Larger changes above 40°C can be dangerous. Fortunately, humans are relatively well-adapted to dealing with the heat. One theory is that humans evolved a survival advantage as hunters because they could outlast animals that were less able to manage long periods of exertion under hot conditions. How do we regulate our temperature? 1. Radiation: There are so many small blood vessels in the skin that, in total, they can receive up to 60% of output from the heart at rest. As blood flows from the core of the body to the skin, opening of these small blood vessels allows more surface area for heat exchange with the environment. 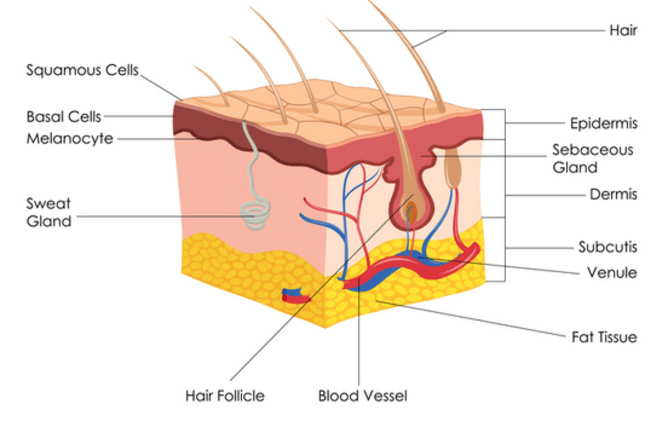 Radiation of heat occurs when the surrounding environment is less hot than the skin surface. At rest in a cool environment, 60% of heat loss is by radiation. 2. 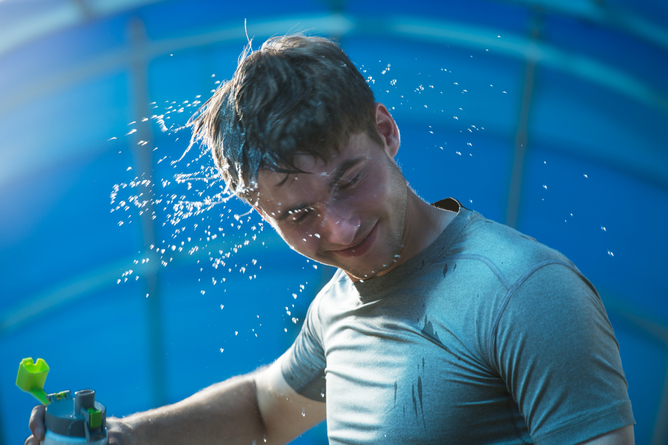 Evaporation: As core temperature rises, sweat glands in the skin are activated, promoting heat loss via the combined processes of convection, conduction and evaporation. These forms of heat exchange become more important as heat production rises (such as during exercise), and as the environment becomes hotter and radiation less effective. Why is it so hard to exercise in the heat? Muscles that are active during exercise demand more energy and, consequently, increased blood supply and delivery of oxygen. This means the heart has to work harder to re-circulate blood to the active muscles. Exercising muscles also generate heat, as a by-product of chemical reactions inside cells. This increases core body temperature which, if not compensated for, can compromise the ongoing function of the central nervous system and/or muscle cells themselves. To lose heat, blood needs to be sent to the small arteries under the skin surface, so that heat transfer can take place via radiation. Sweating alone is relatively ineffective if this re-distribution of blood does not occur concurrently. So when exercise occurs under circumstances where heat loss is challenged (because the gradient between skin and environmental temperatures is narrow), more blood needs to be directed to the skin at the same time as this blood is needed in the muscles to increase workload. A competition therefore develops between the skin and working muscles for the limited maximal blood flow that the heart can manage. Acclimatisation can increase a person’s capacity to heat loss. Different theories explain fatigue (the point at which you cannot maintain exercise duration and/or intensity) as either the inability to sustain oxygen delivery to the muscle in the face of thermoregulatory demand, or an inability to control body and brain temperature during exercise in hot environments. The causes of fatigue are of great interest to exercise scientists concerned with sport and workplace performance. We know that acclimation (the process of repeated exercise in hot conditions) can enhance an individual’s capacity for heat loss and, therefore, improve exercise performance and delay fatigue. Several steps in the exercise and thermoregulatory chain are amenable to adaptations that improve performance, including enhanced function and structure of the blood vessels, the function and size of the heart and even blood volume itself. Heat stroke is a serious illness and those most at risk include adults aged over 65 years, babies and young children, pregnant women, people with existing medical conditions and those on particular medications. Most obviously, those who already have heart problems are at particular risk. 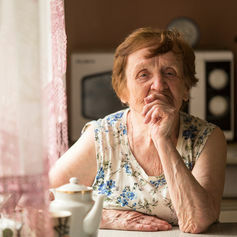 Older people are at greater risk of heat-related illness. Such is the risk of heat illness that 10,000 excess deaths occurred during a heatwave in Europe in 2003. In the Australian summer of 2009, hot conditions in Victoria and South Australia were linked with higher rates of illness and more than 200 extra deaths than would normally occur, particularly among the elderly and those with heart disease. Early signs of heat exhaustion can include dizziness, headache and nausea. More severe cases of heat stroke involve hot dry skin with (paradoxically) no sweating, confusion and fainting. Sports Medicine Australia has produced a helpful guide to performance of sport or exercise in hot weather, which details the risk and symptoms of heat illness. What’s the best way to deal with the heat? For professional athletes, exercising in warm conditions can improve performance and is sometimes essential to prepare for different environmental conditions, such as preparing for an Olympic games in a hot country. Regardless, it’s important to take precautions to reduce the likelihood of heat illness by staying hydrated, wearing appropriate clothing and knowing your limits. For people who don’t exercise regularly or those who are at increased risk of heat-related illness, avoid exercising in the heat, such as the middle of the day in summer or rooms with poor air circulation. Instead, opt for a prescribed, gradual and incremental exercise program that improves your cardiovascular and thermoregulatory tolerance. 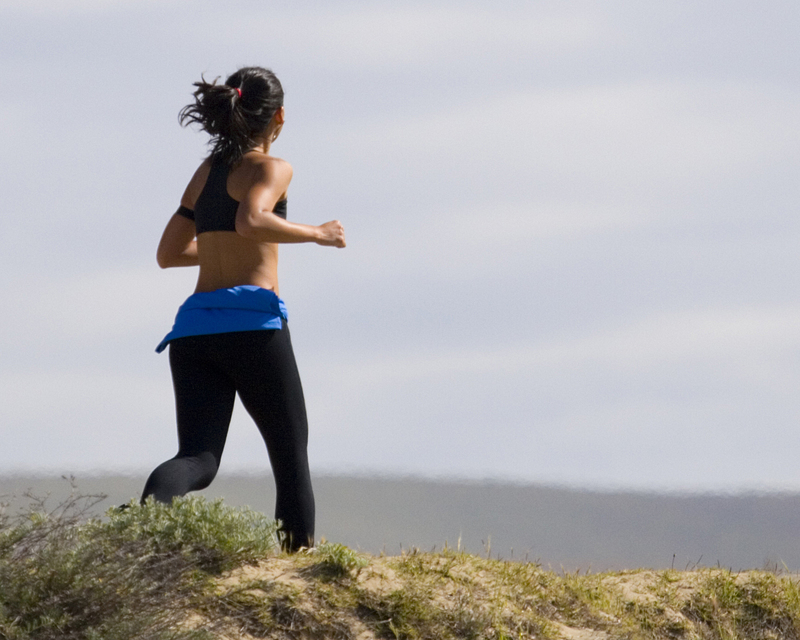 Gradual and repeated heat exposure, even in the absence of exercise, may also be good for your health. The good news is that even exercise in normal or cool conditions will improve thermoregulatory capacity and resilience under hot conditions. But if it’s out of the ordinary for you, extreme exercise or exercise in extremes, is equally unwise.